By now you should be more than familiar with HalfNoise, the solo musical vehicle of Paramore drummer Zac Farro, a longtime local fave and friend of the site. 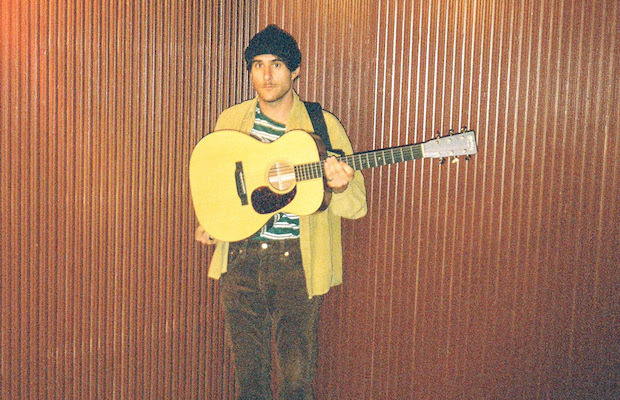 Formed and cultivated between Farro’s 2010 departure from Paramore and his return to the renowned group last year, HalfNoise has, so far, released two full-length albums and two EPs, navigating the realms of ambient, indie rock, synthpop, and groovy, retro rock, last year’s Daniel James produced The Velvet Face EP marking his most psychedelic, analog, and nostalgic effort to date. We’ve been hearing for a minute that Farro had new music coming down the pipeline, crafted, impressively, between stints traversing the globe with Paramore and intermittent live HalfNoise dates, and that his next record would be a little less full-on retro than The Velvet Face. Entrancing new single “Flowerss,” which arrived last week, serves only to confirm this, and feels like a bridge between Farro’s layered, dreamy, Sigur Ros-esque earlier output and the more raw, indie rock rooted sounds of both his last EP and recent work with Paramore, landing like something akin to a more laid back Strokes track. “Flowerss” arrives ahead of a new EP, which, though still without a title or release date, will most likely arrive the first half of the year. With Paramore’s tour plans easing up a bit (a themed cruise, also featuring HalfNoise, and a Bonnaroo debut notwithstanding), HalfNoise, the current live lineup of which also largely serves as Paramore’s live backing band, are also promising a lot more shows throughout the year, following recent stints in both a handful of major U.S. cities and overseas. After last year’s unforgettable release show at Lucky Bamboo, and a more intimate outing at The End last fall, the first hometown show of 2018 seems all but guaranteed to be announced in the near future. Until then, enjoy HalfNoise’s excellent new single “Flowerss” below, and keep an eye out for EP news soon!